On Saturday 15th September, some of our team spent the day at Cookham Dean Village Fete. 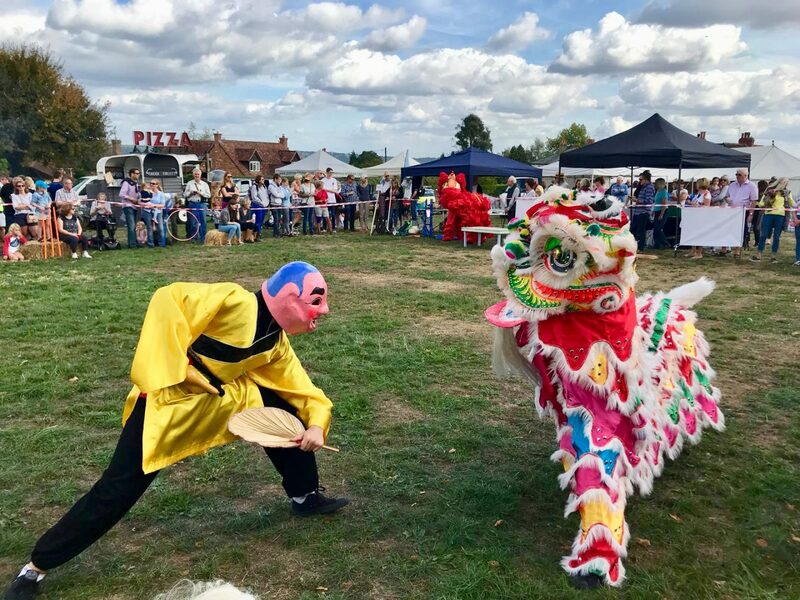 Lion Dance performance at Cookham Dean Village Fete. 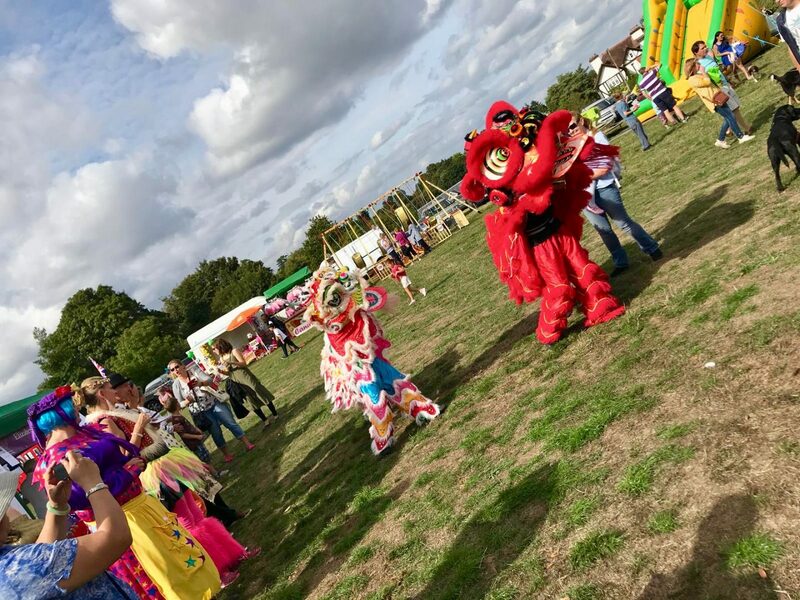 They performed an exciting Lion Dance with 2 lions, to a big crowd. For many people this was their first time seeing Lion Dance and the team definitely didn’t disappoint. The crowd loved the music and the Lions that were weaving their way through the people. The team had a large area to cover and with so many people, they were performing for roughly 30 minutes. 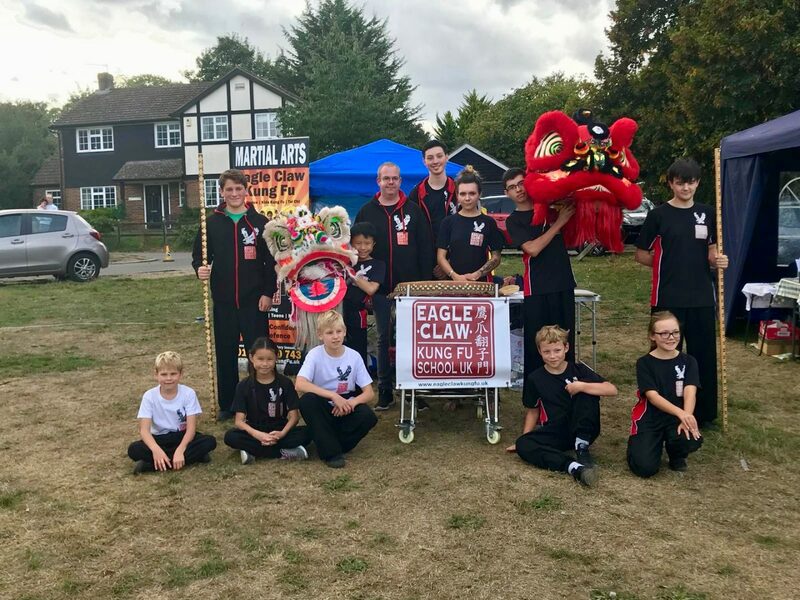 After a small rest break, involving the students answering questions from the public, various team members performed some Eagle Claw forms and all of the team performed some of the basic kicks. The team had a great day at the Fete, and are always happy to support the local community and charity events. Some of the Lion Dance and Demo Team.